Today we're going to look just at the first bit of this story in a little bit more detail and watch as Hannah asks God for the big thing in her life. We'll consider how her response to God matches up with our own. Basically this is the one thing you need to know about Hannah - she has no children. The Amplified version says that Hannah felt "embarrassed and grieved" about her childlessness. These verses also say that her sister-wife tortured her about it year after year, this went on and on and on. Every year when the household traveled to Shiloh, Hannah was tortured for her barrenness, every year she grieved. But then one year she does something different - she takes her grief and pours it out to God. Look back and re-read verses 7-9. As I was reading these verses again they hit me by surprise. She had been grieving about this year after year and then finally she gets up, goes to the temple and takes the desires of her heart to God. And I'm over here all like "I do this all of the time!!" 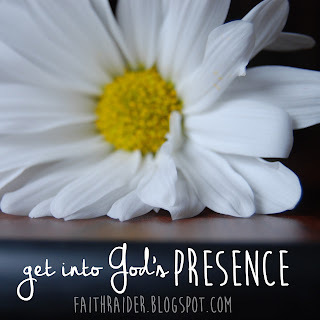 I sit here crying (if only just in my heart) about something, wishing for things to change but I'm just sitting there, wishing and crying and maybe texting my friends (hopefully not writing passive aggressive social media posts) but what I need to do is get up and get into the presence of God. Hannah took her grief, her longing and her desires and poured it all out to God. Hannah was barren, yet here she was pleading with God to give her children. It seemed like an impossible situation, like, if she was ever going to become pregnant she would have done so already. But God is bigger than that. He met Hannah in her impossible situation and did something amazing. I want to be more like Hannah and be willing to ask God even for the things that seem impossible. Respond: Are you holding onto disappointment? Ask the Holy Spirit to help you look at yourself honestly. Is there an area of your life where you have basically just been siting and grieving about it instead of bringing it to God? What big thing are you asking God for? In what areas are you holding back? What do you think is keeping you from bringing your desires fully to God? Spend some time praying to God pouring out the desires of your heart. Be bold and ask Him for the big, scary, crazy thing you have been holding back. Ask Him to help you to be honest about your desires. Open the door and let the wind of the Holy Spirit breathe new life into the dusty corners. While you're in this moment spend some time listening. Usually when I am pouring out my heart to God He is pouring His heart out to me too. What is the Holy Spirit saying to you in this moment? I was watching this video with my boys one quiet sleepy morning the other day and this video and I was literally crying. I am just so in awe that God would notice me, even in the details, even in a crowd of ten thousand. I love that he doesn't just notice the loud or the beautiful ones, or the ones up front, he notices the quiet ones too. He notices me, at home in my small space. And that is breathtaking. Have you enjoyed this series? Sign up for my newsletter to get updates and freebies! I may have had a guilty chuckle about the passive aggressive social media posts... that is so me sometimes ;) Love your insight into this passage that brings out a side I hadn't considered before! I really do not even ask half the time! day 21: brave in the "but if not"
day 16: brave in joy! Got a minute? Take my reader survey.